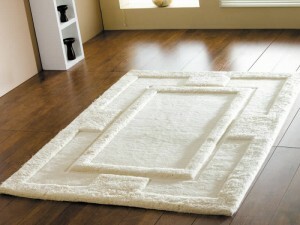 There is no doubt, wool area rugs are gorgeous; they are also expensive. Because of the nature of natural materials vs. synthetics, wool rugs need to be cleaned with a great deal of care and special techniques. Using the correct products and techniques for wool rug cleaning – The Rug Cleaning Centre will ensure that your expensive rugs are not damaged during the cleaning process. A couple of ways to keep a wool rug clean is to place it in an area of your home which gets minimum traffic and ask your family to take their shoes off before coming in the house. The bulk of the dirt that is tracked on your rugs and carpet comes off dirty shoes and removing them can go a long way to keeping them clean. Regardless of what you do though, rugs will get dirty, they should be carefully vacuumed often and about every year or year and a half they should be cleaned. As professional rug cleaners we will submerge the rug and then dry it centrifugally before finally hanging in a climate controlled area to finish drying. Any process other than this will damage your expensive wool rugs. The Rug Cleaning Centre is proud to announce the recent upgrade of all machinery to the finest state of the art cleaning and drying equipment. The centrifugal dryer is the latest in drying technology and the only machine of it’s type in the market. The rapid rinse and extraction has solved that age old problem of woolen rugs browning as they dry. Spun at over 1000rpm the centrifuge gently yet powerfully extracts 95% of the water from any rug in around 3 minutes.